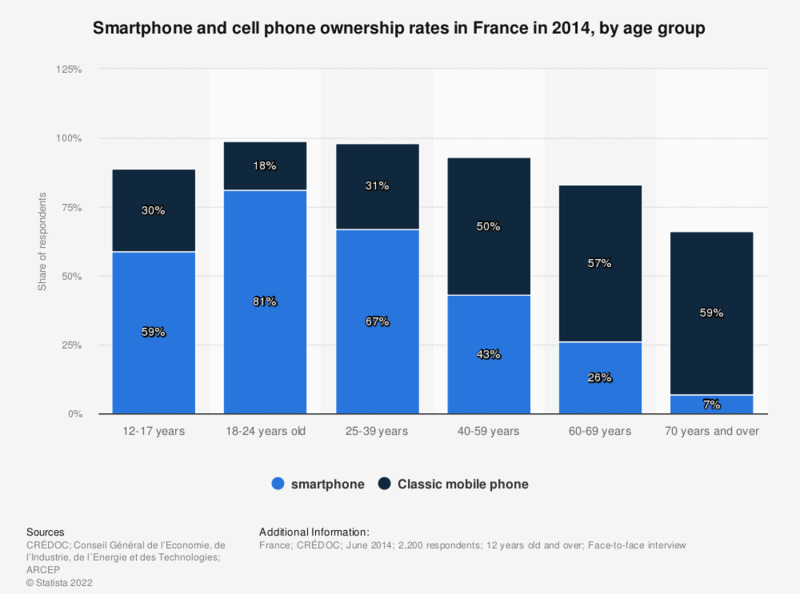 This statistic illustrates the rate of equipment in smartphones and classic mobile phones in France in 2014, by age group. Out of every 100 people between the ages of 18 and 24, 99 had a mobile phone, of which 81 had a smartphone and 18 had a mobile phone. When you acquired your phone, was it new or used? What health problems did you have? Do you keep yourself away from risks when using your phone on a daily basis?